The Potato Grill Rack by Steven Raichlen is AMAZING! I have been shopping and winning on DealDash for over 2 years and recently discovered an amazing item by Steven Raichlen. I generally bid on the things that everybody knows like gift cards for restaurants, retailers like Walmart, and online stores like Amazon. I also love kitchen items and have bid on well-known brands like Rachael Ray and Paula Deen. So who in the world is Steven Raichlen and how come I haven’t heard of him before? This is where you do your homework. You can Google just about everything these days so I googled Steven Raichlen. Well come to find out I have been living under a rock. He is a well-known journalist, tv host, and culinary writer. He put out numerous books and is an award-winning writer. They say he has reinvented modern BBQ. Well slap me! I think I might bid on his stainless potato grill rack which DealDash is auctioning off! When I received the potato rack it took a few days before I actually used it. When I did it was amazing! It made the best baked potatoes I have ever had! You use this potato grill rack on the outside BBQ. Just start the potatoes before you start your meat. Just like described it cooks the potato faster than in the oven. If you rub it with a little olive oil and salt, cook it until it is done in the middle you get a nice crisp skin on it. I love a crispy skin! I liked this product so much I had to get another one to have in the camper. Not a problem, there will be another auction again for this product. That is the good thing about DealDash. If you want a second of an item you liked so much you can bid again on the same product so long it’s not a one-per-user item. In the end I won one rack for a penny and used the Buy it Now on the other one to get my bids back. So when shopping on DealDash, you can bid on things you know or try bidding on things that you have no idea who made them and you might be surprised with how great the item is! Check out this YouTube video where Steven Raichlen shows how to make BBQ Beer Can Chicken! This entry was posted in Brands, Video on January 31, 2015 by . Shopping for deals on necessities is made easier with DealDash and is happening right now. When shopping for deals online most people would think about electronics, kitchen appliances, yard tools, televisions, and computers. That’s because these items are generally cheaper online, or you can check numerous suppliers for the best deal. While all of these items are available on DealDash, did you know that you can be shopping for deals on everyday household items too? Everyone uses things like dishwasher detergent, paper towels, dish soap, Kleenex, and toilet paper. Yes, I said toilet paper. These items that DealDash offers are not the dollar store off-brand items, either. Most days and numerous times throughout the day you will find brands like Tide Pods, Bounty paper towels, Scott, Finish dishwasher detergent, and Dawn dish soap. Just like commercials will try to tell you, it has been my experience that using a better made product will save you money in the long run. You will end up using twice as much of the cheap brand to do the same amount of work. Another good thing about shopping for deals on DealDash is that as time goes by they will change and add new products as necessary. I started shopping on DealDash over 2 years ago, and at that time I never saw these products come up in auction. When they were first added I thought “Really? Toilet paper and soap?” Well, people need these items too, so why not? After all, if you can save money on everything else then why not everyday items too? Plus which is more fun, going to the big box stores and dealing with people who get in your way when you are in a hurry and checking out in a long line, or sitting at your desk with a good cup of coffee? Which by the way, you won on Deal Dash, by bidding and having much more fun! 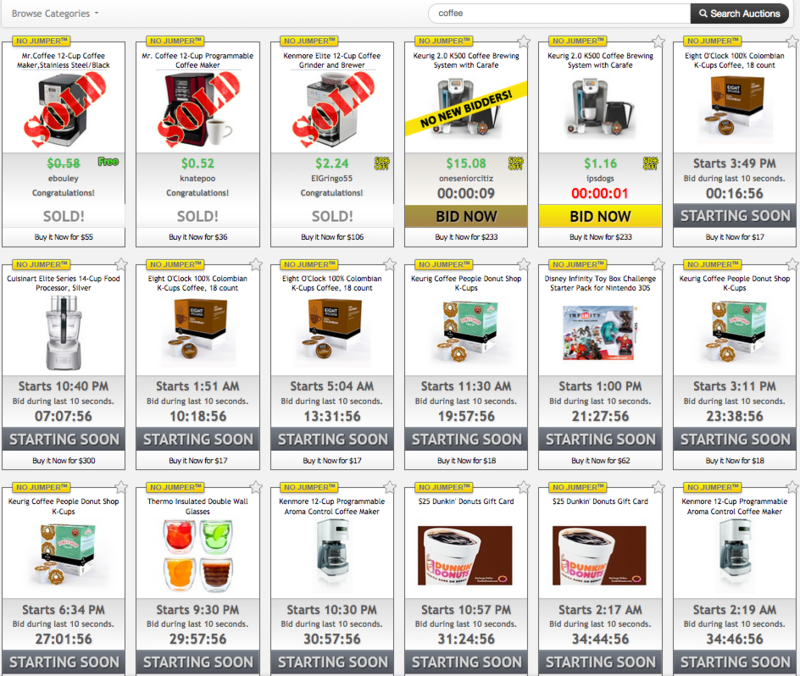 Keep in mind that these products come up frequently over time and you do not have to bid on each and every one. If you go to the auction’s page you can type in the item you are looking for and find it that way. Or you can go to the category that these products are listed in and put it on your bookmark page. If the item is listed but not scheduled yet you can set a reminder and DealDash will notify you when it does come up. Then when you sit down to bid and have some fun you will know exactly what to bid on that particular day. Most of the products I talked about are necessities that people purchase monthly, so be patient. You don’t want to stock up too much or you won’t have a place to put these things. Or someone might think that you have lost your mind and are hoarding toilet paper! So grab a cup of coffee, check the auctions you put on your bookmark page, and have fun bidding! This entry was posted in Review on January 30, 2015 by . Did you know that DealDash could make it possible for you to never cook again? It’s true. Whether at home, away, or a combination of both you can get great deals on restaurant gift cards from DealDash. For breakfast you have a choice between Dunkin’ Donuts, Burger King, or Subway. I prefer Dunkin’, they have good coffee, donuts, bagels, and breakfast sandwiches. Burger King is OK if you can stomach fast food. My husband travels weekly and would prefer not to have Subway sandwiches because he has eaten so many while traveling. It’s to the point of calling him “Jared“. You even have a choice of IHop and Cracker Barrel if you want a hearty sit down kind of breakfast. For lunch and dinner you have many great options. Some restaurant gift cards cover more than one establishment because of the parent company. This makes your choice on where to eat while traveling even more convenient. On one card you have Outback, Carrabba’s, Roy’s, and Bonefish Grill – one of my favorites. You must try their “bang, bang shrimp,” it’s to die for. On the Darden brand card you have Red Lobster, Olive Garden, Longhorn, and Bahama Breeze. There are many single restaurant gift cards like Panera Bread, Chili’s, Applebee’s, Red Robin, Texas Roadhouse, TGI Friday’s, and Ruby Tuesday’s. I know I have missed some because there are so many to choose from. So when my husband and I travel, if even for just a day, I pull my little case of cards out. Then I read the signs on the exits that give you a list of places to eat, and tell my husband what our choices are. He knows for sure we will not eat anywhere that I don’t have a card for, heaven forbid. I think it’s quite ingenious myself. This entry was posted in Brands on January 29, 2015 by . The EOS company was founded in 2006 in New York, and while it’s most popular product is the lip balm that everyone from teens to grandma loves, they also make shave cream, body lotion, and hand cream. EOS focuses on making products with natural and organic ingredients. There are many flavors and scents, including: Vanilla Mint, Coconut Milk, Tangerine, Lemon Drop, and more! You can get EOS in the United States, Canada, China, and Hong Kong. Some of the places that carry EOS are: Target, Wal*Mart, and our favorite, DealDash! EOS is a really great lip balm, I have many different flavors, and I was very excited to see that DealDash was going to start having EOS up for bid. EOS is a very smooth lip balm, and everyone I know just loves how the container is a little egg shape. 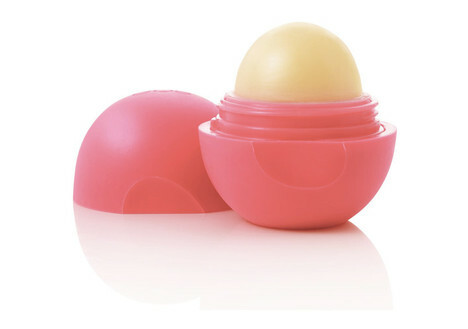 DealDash has the Summer Fruit EOS lip balm up for bid soon, and it’s one of my favorites. My suggestion to you would be to go ahead and hit the “Alert Me” button on the auction page, and DealDash will send you an email when the EOS lip balm will be coming up within a day or so, and then you can book your bids into your Bid Buddy. I would go ahead and book as many bids into the Bid Buddy as it would take to reach the BIN (Buy It Now) price, and then sit back and wait to see if you win! Written by Dawn Xu, a mom of 2 living in Massachusetts. I love DealDash and YouTube, so I make “Unboxing” videos of my DealDash WINs. If you would like to see one of my DealDash themed videos, click here. Attention Coffee Lovers! DealDash has your fix! Do we have any drinkers out there? I’m not talking about adult beverages people! This is a “G” rated site. I mean coffee, tea and cocoa, of course. I had you going for a minute, didn’t I? I believe it would be against the law for Deal Dash to offer anything stronger. I know they can’t ship adult beverages across state lines. But if you love coffee and tea you are in the right place. Before joining DealDash I had already purchased a Keurig brewer. I fell in love with it except for how costly it can be to purchase the coffee. I usually drink 3-4 cups per day. So over a week’s time that can come to 21-24 cups a week. In the old days boxes of coffee had 18 cups in them, but times have changed. You still pay about the same for a box but now there are only 12 cups, did you notice that? You can end up spending close to $60 a month on coffee! Really? I guess you should not add that up. I won’t get into the environmental factor of how many little plastic cups we are all throwing away using these K-cup packs, however Keurig is working on it. Keurig Green Mountain has VUE brewing systems available, which utilize recyclable #5 plastics in their coffee pod construction. They also have reusable K-Cup containers. Long term, Keurig Green Mountain has set 2020 as the target date for which they intend all K-Cups to be 100% recyclable. They plan to accomplish this by replacing the non-recyclable hybrid #7 plastics used in the K-Cups today with fully recyclable #5 plastics, as well as finding ways to make separating the components of K-Cups for recycling easier. They also intend to offer more programs nationwide for the responsible disposal of K-Cups. So here’s where DealDash, what I consider to be the best online auction site in the world, comes in to help. They offer the top name brands in coffee and give you the chance to win incredible deals! I have either won or used the Buy It Now on many boxes of coffee. Most of the boxes of coffee on Deal Dash have 18 cups instead of 12. There are brands like Green Mountain, Starbucks, 8 O’Clock, Donut Shop, and Tully’s. Deal Dash also offers Tazo Tea, iced tea, flavored coffee, and hot chocolate. You can drink ’til your hearts content! I had so many boxes of coffee and tea I had to add additional shelves to a big closet under the staircase. It looked like a grocery store in there. When a few friends used to come over for a long weekend I would normally have to take out the old 12-cupper to make enough coffee, but not anymore! My friends know how expensive the K-cups can be so they try not to drink as much coffee when they are here. You should have seen their faces when I opened up the closet and said “take your pick”. They said, let me guess, Deal Dash. Yup! My tip when you are bidding on DealDash is to put in enough bids to break even on the total out-of-pocket expense. If you don’t win you can BIN (Buy It Now). You will get all your bids back to use again on another box of coffee, get free shipping, and on average you will save you a lot of money on something you use everyday. You might want to get some decaf too!